From the annunciation by the angel through the birth of Jesus, this beautiful full color book chronicles the journey of Mary and Joseph, the appearance of the shepherds, and the story of the wise men, in a way the Christmas story has never before been "told." 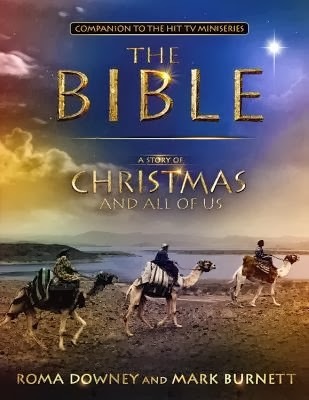 Containing extraordinary images from the hit TV series, The Bible, A STORY OF CHRISTMAS AND ALL OF US is a book that will take a deserved place among the finest celebrations of Christmas. My thoughts: This book took me about an hour to read in total. It isn't a long book by any means, but it is one that will bring the story of Jesus' birth to life. The book is peppered with still shots from the Bible series that aired on the History channel. If you enjoy coffee table-type books, I can assure you this is one that your coffee table needs to have. This book would also be perfect as a gift. husband. 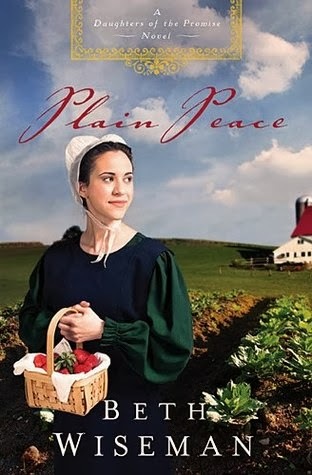 Anna Byler should be enjoying her Rumspringa as allowed by her faith. But because of the strict rules enforced by her grandfather—the bishop—the available suitors in town are afraid to court her. Even Anna’s grandmother is keeping a big secret from Anna’s grandfather in an effort to keep the peace. Under her grandfather’s oppressive watch, Anna begins to feel her faith slipping and wonders if God has forsaken her. Jacob Hostetler and his family have relocated to Lancaster County following a family tragedy in Ohio. As his family struggles to rebuild their lives, Jacob is forced to act as head of the household when his father is unable to cope with recent events. It’s been a long time since Jacob has felt any joy. Until he meets Anna Byler. But will Anna’s grandfather succeed at keeping them apart? And can Jacob put the past behind him and open his heart? Additional notes: This is the sixth and latest book in the Daughters of the Promise series. My thoughts: I felt this book was one of the best in the series, although it wasn't a memorable book by any means. I really enjoyed reading about the relationship between Jacob's mother and Anna's grandmother. To me, that was the highlight of the book. Jacob and Anna weren't the most interesting to read about, to be honest. But Anna's grandmother seriously cracked me up. She made this book for me. If you want to get to know a crazy and stubborn Amish character, read this book. Trista Rehn was a pediatric physical therapist moonlighting as a Miami Heat dancer when she heard about casting for a new reality show—one guy getting to know twenty-five girls in the hope of finding a fiancée. As improbable and crazy as it sounded, Trista took the chance—and had her heart broken on the very first season of The Bachelor. But the next season, as the first Bachelorette, her fairy tale fell into place during a whirlwind courtship with poetry-writing firefighter Ryan Sutter and, eventually, a dream-come-true wedding on national TV. In the midst of building a life with Ryan and raising two kids, Trista started to make a conscious effort to remember her favorite part of each day. And she’s made sure to post these thoughts, her own personal expressions of gratitude, almost every night on Twitter and Facebook—even on days she was dealing with fertility issues, a difficult pregnancy, family deaths, and other challenges that many of us face. Sometimes it’s the smallest gestures and the most unassuming things that can have the greatest effects. Trista is often asked her secret to being one of the rare reality-TV relationships to make it to the altar and beyond. In this heartfelt book, she shares the simple yet profound keys to finding everyday happiness: gratitude and grace. From the blink-and-you’ll-miss-them moments we have with our kids, our spouses, our pets, or even strangers, to the more obvious lessons we pick up from reading the news or hearing an inspirational story, knowing how to recognize, accept, and be grateful for all of our daily blessings is truly what �happily ever after” means. 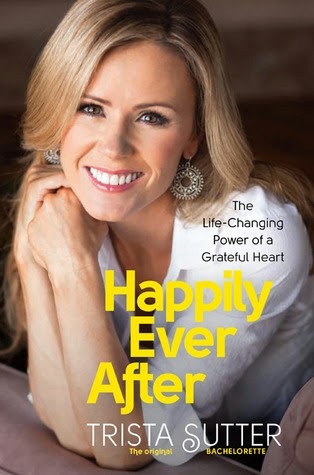 Ten years later, the first Bachelorette talks of marriage, family, friendship, and how powerfully gratitude can transform your life. My thoughts: I cannot believe how much I enjoyed this book! I thought it would be more of a biography (which I so wish Trista would write! ), but it really was not. Trista did include stories of her life, which I highly appreciated and enjoyed, but this book actually included a lot of stats and studies about how and why to live a life of gratitude. Trista also includes a lot of actionable tasks to help kick-start your journey. I would highly recommend this book. I'm certainly remembering to count my blessings a little bit more now thanks to this book! Widow Rosa Hostetler has one month to pay her delinquent taxes before the county auctions her farm. She s prepared to sell whatever is necessary to pay the lien, but she isn't willing to request money from the community s widow fund. She s embarrassed and refuses to admit she needs help. Rosa depends on income from selling eggs, but when that income is threatened, only a miracle can help Rosa accept the kindness of a neighbor. Hope Bowman believes God is punishing her for giving up her firstborn son when she was a teenager. She s hidden this secret from her husband, who is thankful for their daughters but longs for a son. Hope prays desperately, but the son God sends her isn't a new baby but the fifteen-year-old boy she gave up years ago. 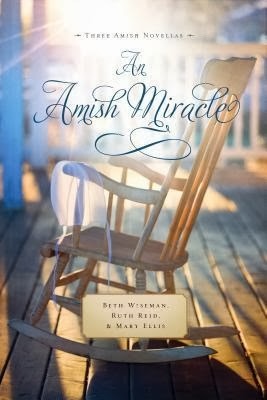 My thoughts: I love the collections of Amish novellas that Beth Wiseman puts together. This collection is absolutely stunning. I am going to read other books now by Ruth and Mary! I had never heard of these authors before, but I enjoyed both their stories so much. Beth's story was surprising and unexpected. I thought I knew what would happen, and I was so wrong. I love when that happens! If you are a fan of Amish fiction, this one is a must read.